Cable cars are one of the hallmarks of Switzerland, along with funiculars and paddlewheel boats. They adorn the country's mountaintops like garlands. While cable cars are most often associated with leisure activities in the winter and summer, Fernando Simas has looked at how they could become a common mode of urban transportation. 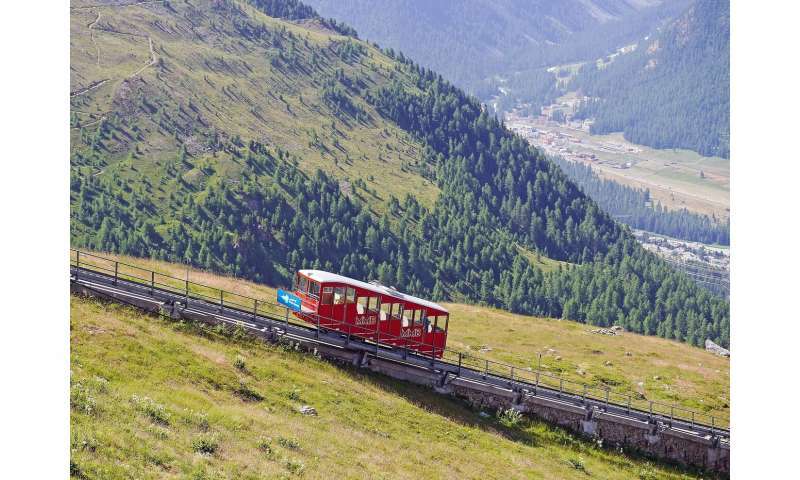 Simas, a researcher at EPFL's Urban Sociology Laboratory (LASUR), recently defended his thesis on this topic, explaining that urban cable cars could become popular among city residents and provide much more than just a means of getting around. Paradoxically, even though the technology is fairly simple, incorporating cable cars into urban landscapes poses its own set of challenges and would require making some complicated decisions. The first part of Simas' thesis explores how city residents generally use public transportation, in order to determine how urban cable cars could fit into commuters' existing habits. He studied two regions in particular: Rio de Janeiro, in Brazil, and the Lake Geneva region, in Switzerland. In the Lake Geneva region, Simas compared five different transportation lines: the M2 subway line in Lausanne; city bus #5 in Geneva; the cable car connecting Le Châble and Verbier; the Mont-Salève cable car near Geneva; and the N1 commuter ferry connecting Lausanne and Thonon. In Brazil, he analyzed public transportation lines similar to those selected in Switzerland. To conduct the research, Simas and his team followed around a dozen people on each of the ten lines for two days and evaluated the participants' experience according to thirteen criteria. In comparing the different forms of transportation, Simas found that today's commuters expect more from transportation systems than merely a way of getting from point A to point B. They also expect a certain level of service, comfort, efficiency and even enjoyment. The LASUR team introduce the concept of commuting-time comfort, which covers all of these aspects. "A public transportation system is essentially a human-machine interaction. In our study of this interaction, we used the notion of continuance: how long can a passenger stay in the same position interacting with the machine? A passenger who is comfortable in a given form of public transportation will be able to travel longer distances, several times a week," says Simas. And just as mountain cable cars help vacationers better understand the rugged terrain, urban cable cars can give commuters a different perspective on their cities. The second part of Simas' thesis looked at how effective urban cable cars would be in various urban settings. A handful of Swiss cities, including Sion, Fribourg, Morges, Zurich and Geneva, are considering such plans. The LASUR team, in association with scientists at EPFL's Laboratory of Architecture and Urban Mobility (LAMU), investigated several of them and found that "urban cable cars can be a catalyst for regional development." That's because they create 3D spaces, and the height of the cable-car line affects not only where stations are located but also how they relate to surrounding areas, both nearby and further away. Erecting a cable-car station is a much more intricate affair than building a bus stop. It can have an impact on several facets of a neighborhood, beyond just transportation. "Urban cable cars are just one of several transportation options, and city officials should think carefully before making a decision. This option should be considered only if it can bring something to a city that buses and trains can't," says Simas. "Many places have had a positive experience with cable cars, and cities in Switzerland could draw on that to try something radical – something that would only work with this particular form of public transportation."